A tulip opening up. SEP2 Low Key preset. THAT is just gorgeous. 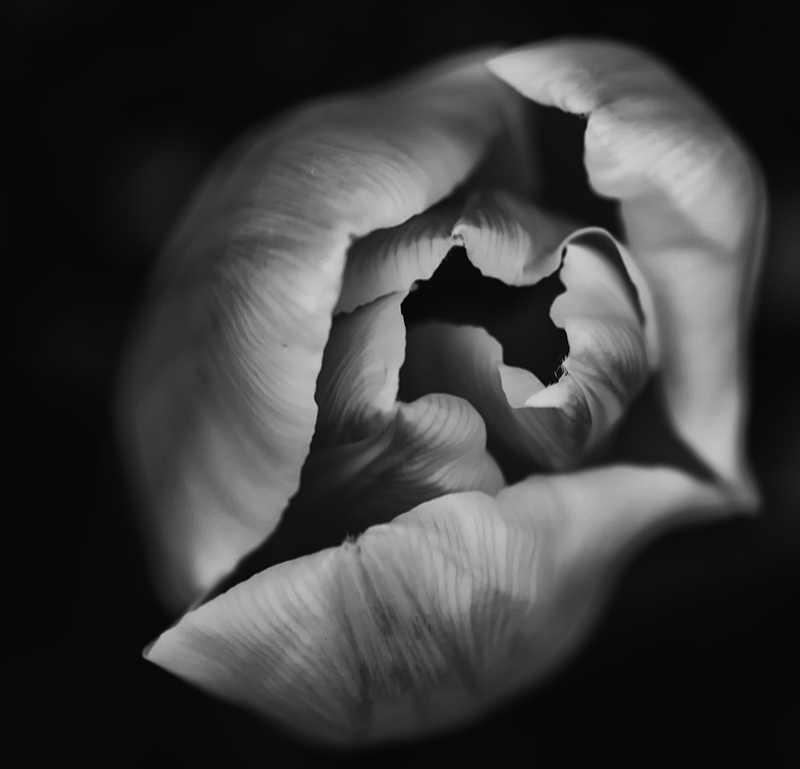 If Georgia O'Keefe and Ansel Adams combined their styles, this is what you'd get. Really beautiful. It is soft, yet there is plenty of detail. WAY TO GO!!!! You need to print this really HUGE!! Proudly hosted by Sargasso Networks. Current Server Time: 04/22/2019 02:01:17 AM EDT.